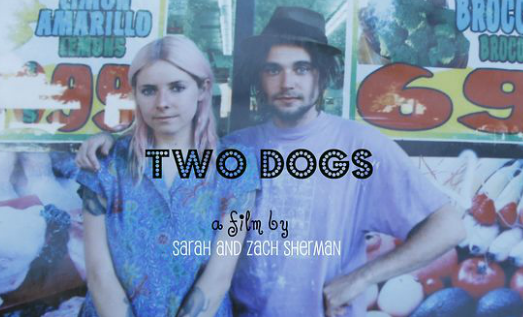 Portland Oregon's Sherman Siblings are making their feature film debut. .. and could use some help funding their dream (as do all struggling artists-you should see my piecemeal financial plan on Spark-there's a reason that took 3 years to shoot). People always want to read a new novel, graphic novel, listen to a new band, record, see a film or a play, got to an art opening... well where do you think these magical arts come from? This is a job, a very hard one despite some thoughts on the life of an artist. Artists are at the core of civilized culture and yet the least appreciated these days...so help a brother (and sister ) out if you can HERE. Two Dogs tells the tale of Julie, a Los Angeles East-sider who can't quite get "it" right. When she meets handsome theater actor Martin and claims to be a playwright -- more than a stretch from her cleaning-lady day job -- she must quickly hatch a plan. Recruiting her free-spirited but unreliable brother to act opposite Martin proves the perfect recipe for an always accidental path of destruction and desperation that only worsens with Julie's penchant for beer, gossip and anything sweet. Set in a community of "artists" who have "opinions" about "things", Two Dogs will have you wincing ... and laughing ... but mostly wincing as Julie's attempts to secure Martin's love continuously flop, bringing to surface the difficulties of 20's-dom in a city where everybody is a somebody and nobody is what they say.